Dental insurance companies sometimes pre-negotiate the fees for certain services with dentists. This arrangement helps to keep costs low for the insurance providers, which means that they generally cover treatment at in-network dentists at a higher rate than they do at out of network practices. Some insurance policies, such as HMO plans, provide no coverage at all unless you visit an in-network dentist. 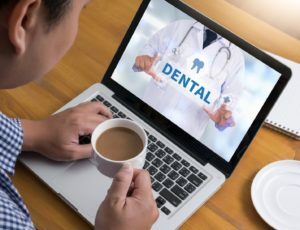 Some dentists choose not to join certain insurance networks because the insurance companies may dictate some of the methods used for treatment. Many dental insurance plans, including PPO and indemnity plans, allow policyholders to visit any licensed dentist and still use their benefits. In many cases, the out of pocket costs for patients at in-network and out of network providers are not hugely different. Furthermore, having the freedom to choose any dentist allows patients to visit someone whom they truly trust to take the best possible care of their teeth and gums. Understand how your policy works. Every dental insurance policy includes some fine print. You can call your benefits provider or ask the staff in your dentist’s office to help you figure out the specifics of your plan and how it relates to your treatment. Be aware of your annual maximum. Most plans include an annual maximum that you can put toward dental care. If you haven’t used up 2018’s annual maximum yet, now is the perfect time to visit your dentist so those benefits don’t go to waste. Ask about financing. Regardless of whether you go to a dentist who in or out of your insurance’s network, some treatments still present a significant out of pocket cost. Financing is often available to pick up where your insurance leaves off. Your teeth are precious, and you shouldn’t let network restrictions control your choice of tooth doctors. Visiting an out of network dentist may allow you to get care from someone you trust at a price that you can afford. Dr. Michael Olson is a Texas native who has been practicing dentistry for 15 years. He loves to serve the Beaumont community and provide truly excellent care to his patients. The friendly staff in Dr. Olson’s office will be happy to help you understand your dental insurance and file your claims so get the most out of your coverage. To learn more about our practice and our financial policies, contact us at 409-860-9600.